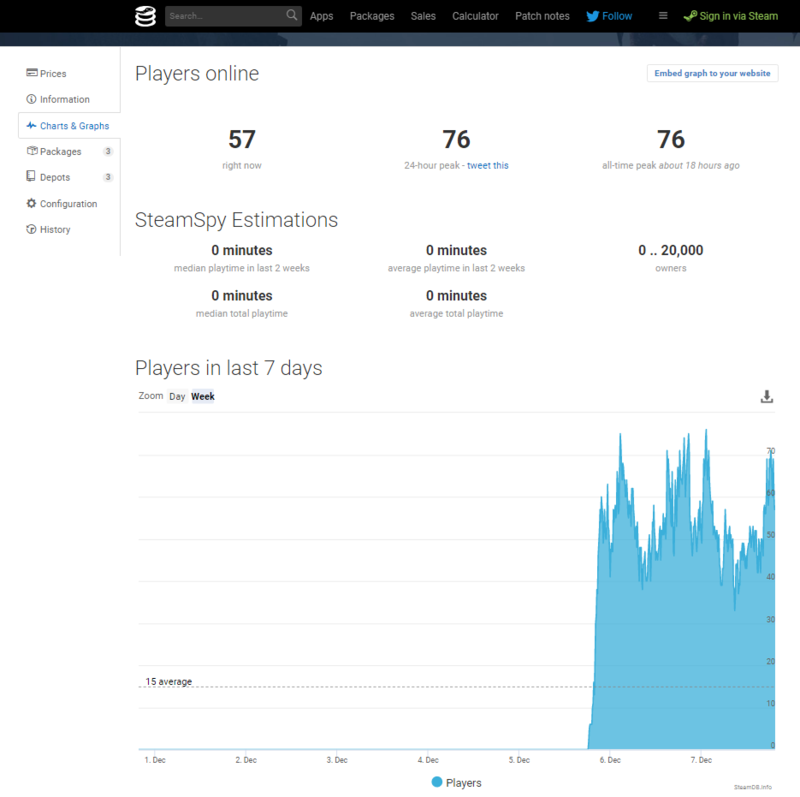 Sansar officially launched on Steam on 5th December 2018 and here are the statistics which Steam collects on Sansar. Sansar Charts calls it “An ongoing analysis of Steam’s concurrent players”. 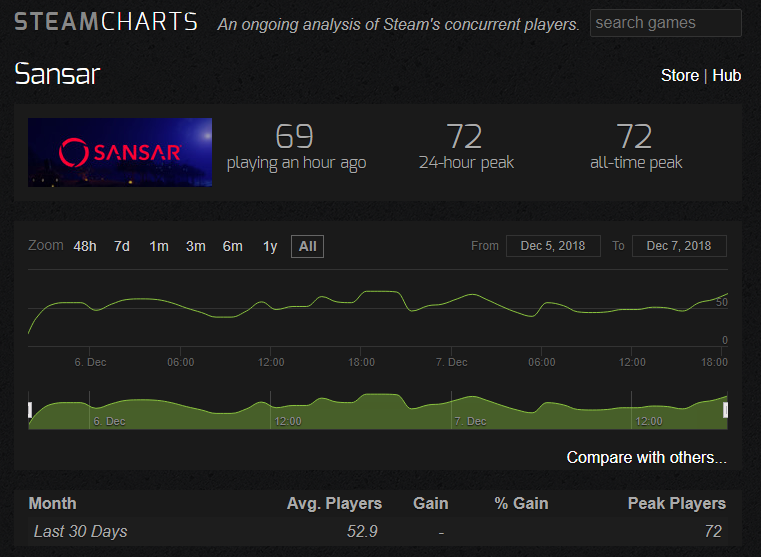 It looks like the launch of Sansar according to Steam’s statistics managed an all time peak of 72 players on 6th December 2018. Now let’s look at Sansar on the AppID page showing some interesting statistics including current players, the 24 hour peak and the all time peak. You can view it by day or week. 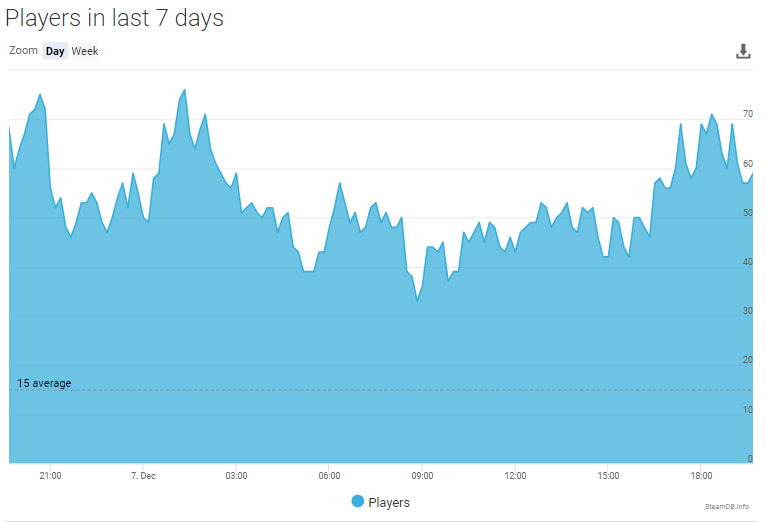 This graph below shows Sansar players on Steam today showing the past 24 hours. Times are UK time. There has definitely been more interest during the past month with a few rather high peaks. Will these numbers grow into the hundreds during 2019 ? Since the launch of Sansar on Steam there have been 37 reviews which has been mainly positive. 30 positive and 7 negative to sum up. It’s been interesting reading them all and hearing what it’s actually like using Sansar. These are still early days for Sansar on Steam I know and the big question everyone is asking is will Sansar bring in a large number of users in the months ahead ?. Yes I think it will. Probably more users during 2019 & 2020. The numbers I’ve seen so far are pretty low from the graphs shown above but I say give Sansar more time on Steam and the numbers may get much higher. Seeing these statistics are pretty important I think and hopefully the lab will release theirs in some way during 2019. If the numbers don’t get higher like into the hundreds or thousands of users or interest remains flat in the next few years the lab could be in trouble. I think Sansar still has big potential. Linden Lab wants to see the Sansar community grow significantly from now on. The Sansar team will continue to push out new release updates regularly during 2019. It’s important to mention that Sansar is the Early Access phrase at the moment so visibility on Steam is reduced.